Cashmere coats and Armani suits abound. Office people uphold their importance with expensive good looks on the classy side of Collins Street. They rush around the Mamasita sign, treating their afternoon meeting agenda like a life-time commitment. Me too, very important. 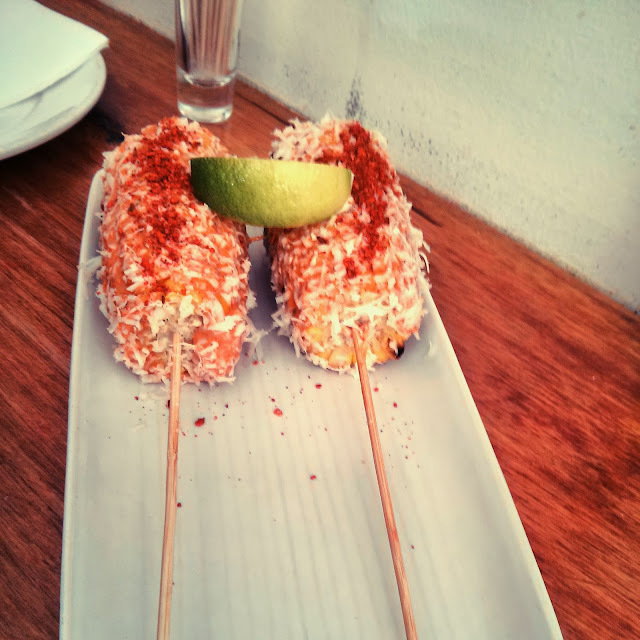 My meeting agenda included a salt-ringed glass of margarita and char-grilled corn cobs in melted cheese, paprika and mayo. Keen Melbourne crowds queue just to get that. 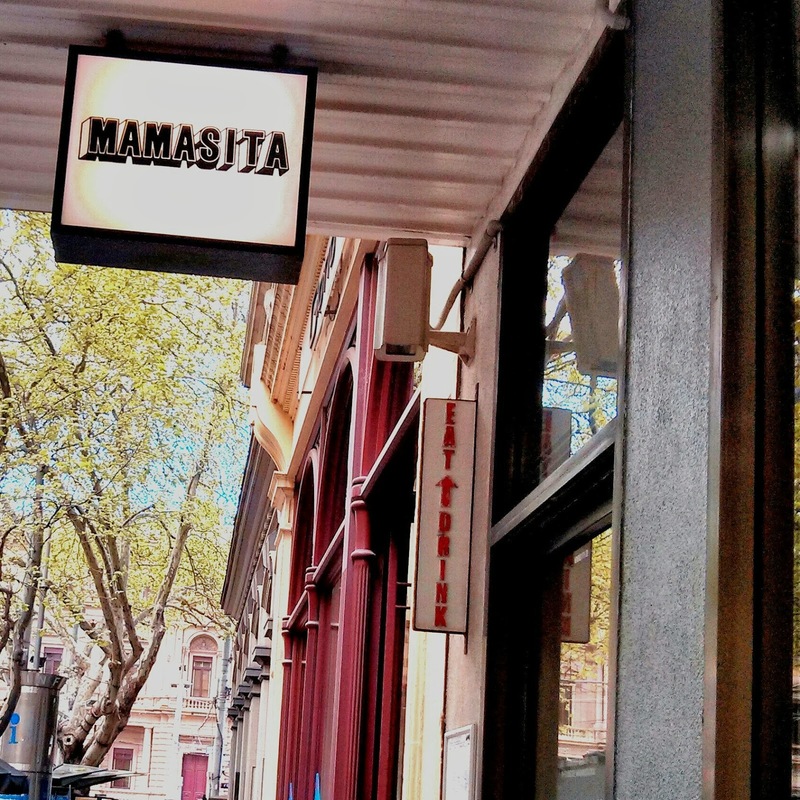 The word on the street is that Mamasita is an adventure. No, I do not like to queue, but I am always up for an adventure. I trick the crowds, and get in just before lunch time. 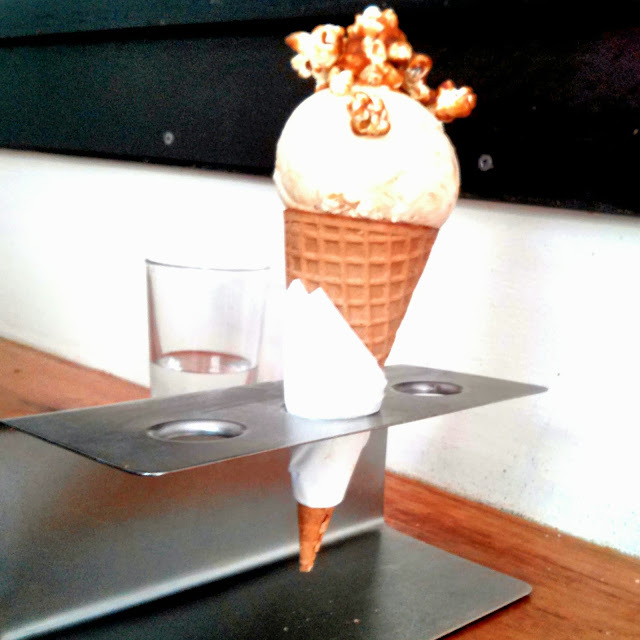 Braised goat tostada, a few margaritas and an icecream covered in popcorn. 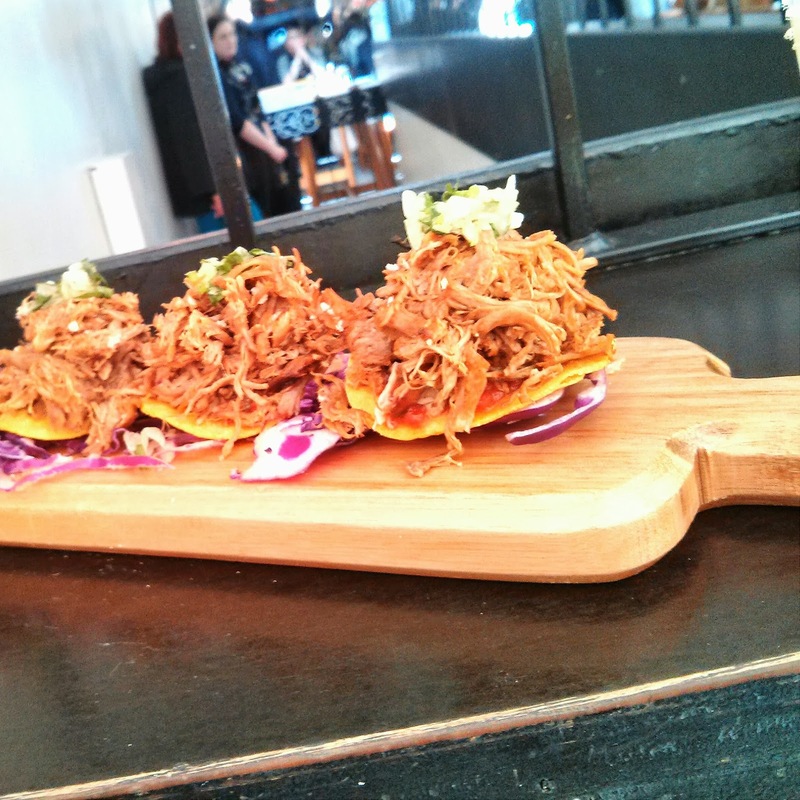 We do not need an agenda to have a killer of a meeting Mamasita, and I.